Skeleton hand - it moves! My concept drawing of the hand. This is part of my biggest robot project ... It has enough degrees of freedom (5+gripper), enough speed and strength. Ulitmate goal is - big and awsome robot hand, controlled by atmega, what is connected to PC. On top of this hand there is a camera and laser for computer vision. And all of this is powered from PCs power supply or car battery. 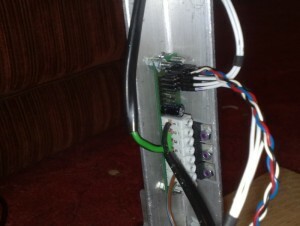 Made out of electric window motors (ultracheap, 12V, fast enough, geared and powerful), aluminium and servos for wrist. I have built and tested strong side mechanics and all electronics. The part with servos is not built yet and it everything needs some serious coding. It moves fast, and silent like a ninja. 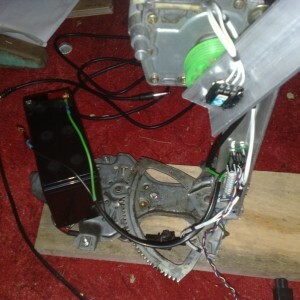 The motors are strong enough to lift at least 2Kg, I didn't test with more weight because the constructions bended about 30 degrees with 2Kg load . Unfortunately the PWM makes hearable sound at ~15kHz, I cannot change the PWM frequency because motors work best with this frequency. 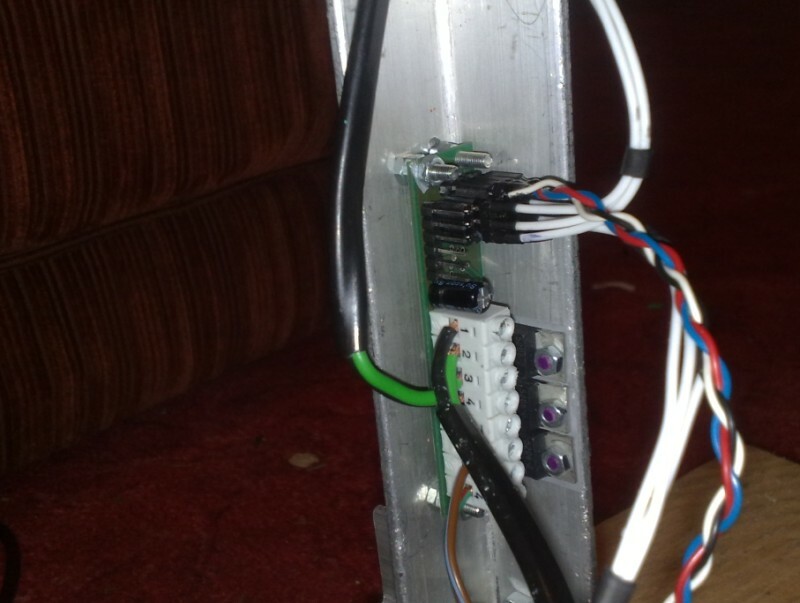 Hbridge board has atmega for control, serial input, adc input for potentiometer (do know on what angle the joints are), programming header, 3x TLE5206 5A H-bridges, red led connected to error_flag pin (should show when there is short circuit), and couple of capacitors. 5206's datasheet said that it has protection diodes and other stuff like that so I believed it..
All the schematics and boards can be downloaded from here. Its a tar archive with eagle files of h-bridge and servo controller board.